We work for change in judicial systems for children to receive educational instead of punitive sentences. With professional support, we help them earn a fresh start in their communities. Latin America is one of the most violent regions in the world, 41 of the 50 most violent cities can be found on the continent. Drug trafficking, gang violence and human trafficking are among the major problems and disproportionally affect poor communities and especially children. In Brazil, more than 50 percent of all murder victims are children. Broken families, a lack of education and opportunities, inequality, and exploitation also contribute to children becoming victims or perpetrators of violence. Together with ‘tough on crime’ approaches, where minor offences can lead to lengthy prison sentences even for children, a vicious cycle begins as children in prison often become more involved in crime. Terre des hommes is a driving force for the introduction of justice systems in Latin America that are based on the best interests of children and their communities. We advocate for alternative measures of punishment where offenders have to make amends with their victims and their communities, instead of having to go to prison. Together with education and vocational training, this allows them to be reintegrated into society and to have a future outside of crime. 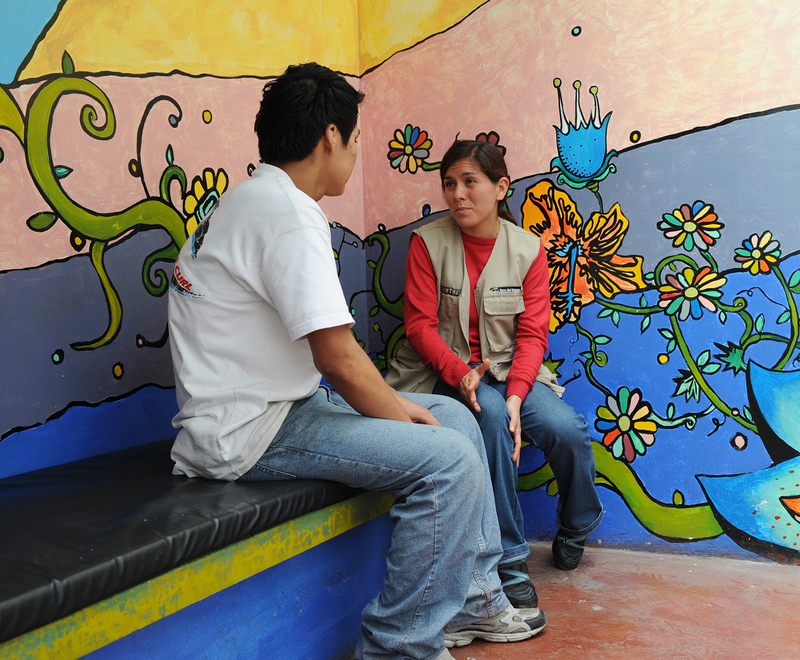 In Peru for example, only 6.4% of the 2,500 young Peruvians involved in the juvenile justice initiative were reoffenders during the last 10 years. We assist the children in conflict with the law through mediation and legal assistance. Tdh also provides training to the main actors in the justice system, such as judges, police, prosecutors and prison staff to adapt the system to the needs of children and to ensure adequate treatment of children in conflict with the law. With these actors, as well as with schools, families and children we work towards the prevention of violent behavior. In 2015 for example we trained 1400 actors in the justice system in Ecuador alone. From our regional hub in Panama, we are working towards establishing restorative juvenile justice systems throughout the region.